Discovering photos of grandparents is something quite rare and special compared to nowadays when taking pics and selfies is accomplished so quickly and easily. 1. 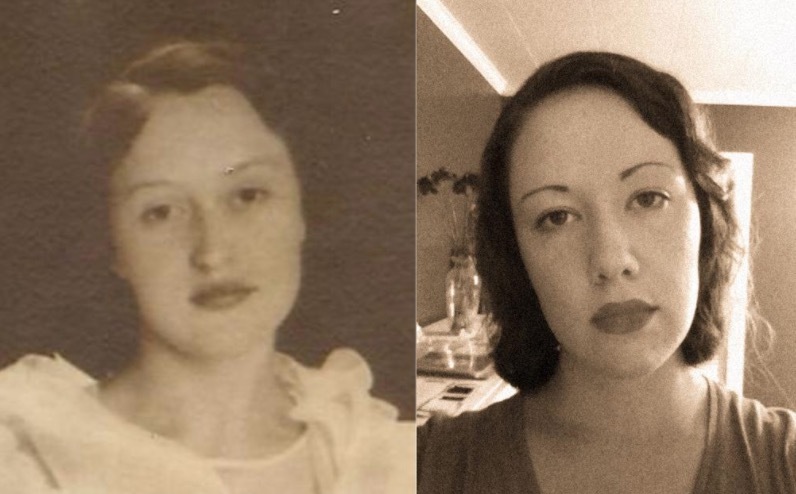 16-year-old in 1944 and her granddaughter. 2. 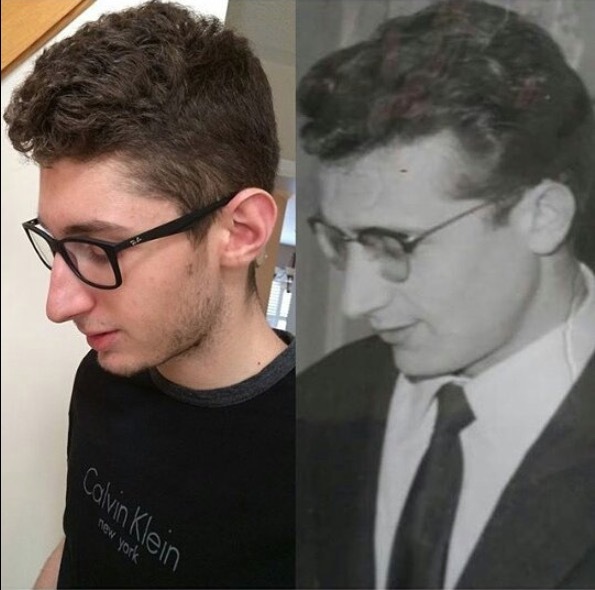 This grandfather and grandson are the spitting image of each other. 3. 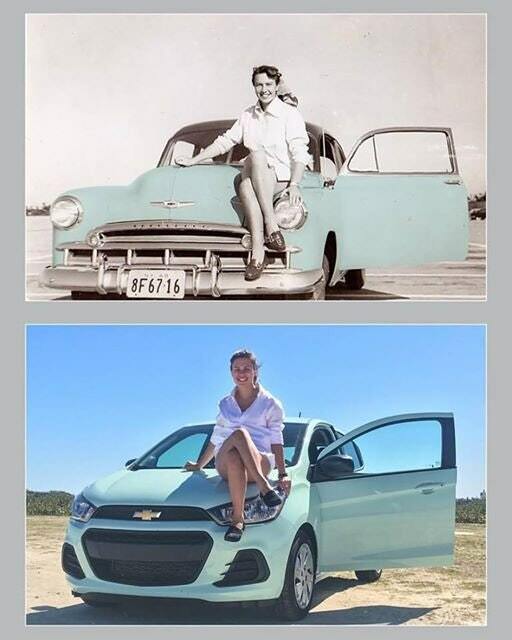 Same face, similar car — just 69 years later. 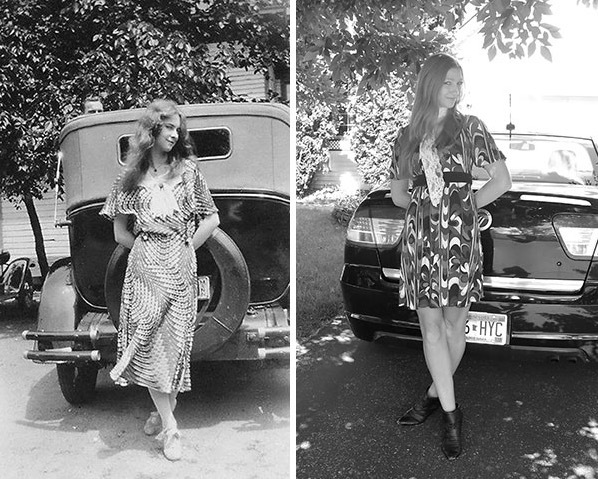 The granddaughter created this uncanny juxtaposition of herself and grandmother, both posing on their automobiles. 4. 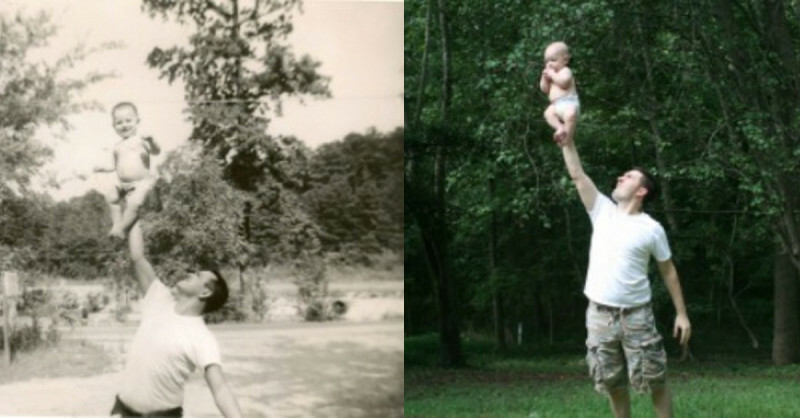 Almost a replica: this girl and her boyfriend tried to imitate her favorite picture of her grandparents. 5. 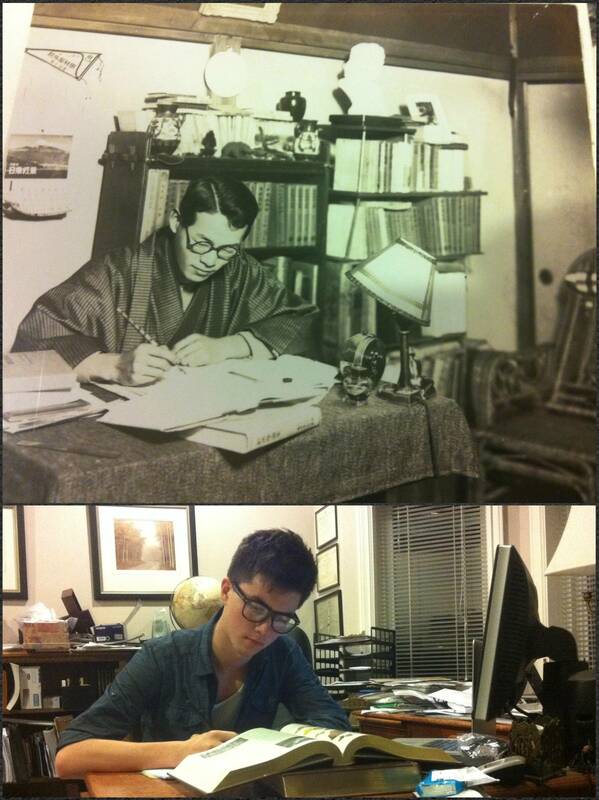 Both granddad and grandson engrossed in their studies. 6. 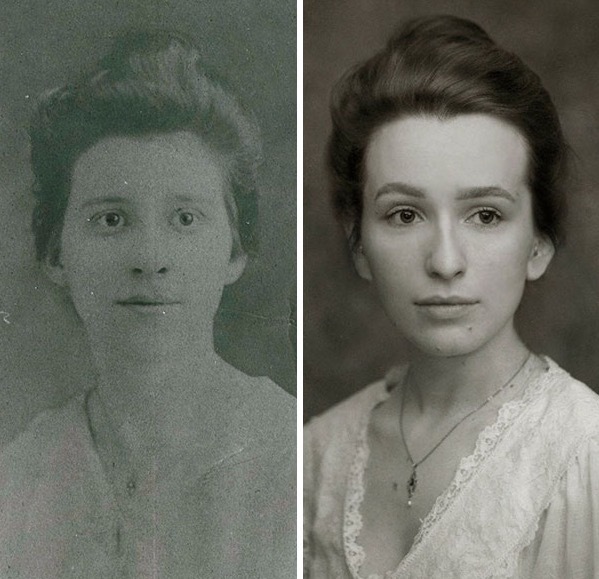 A great-grandmother and her descendant, wearing the very same necklace. 7. Granddad and grandson with their offspring... and three generations of worried mothers! 8. Without the beard perhaps, it's quite a likeness. 9. 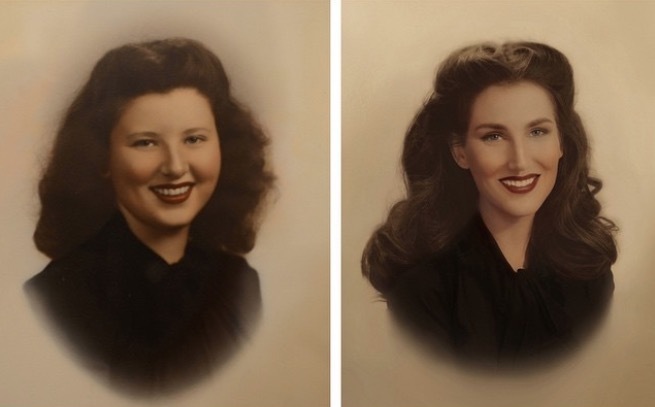 They could be sisters, if it wasn't for the age gap of 60 years between grandmother and granddaughter. 10. "First Generation, 1986: me, my dad and granddad playing Nintendo. 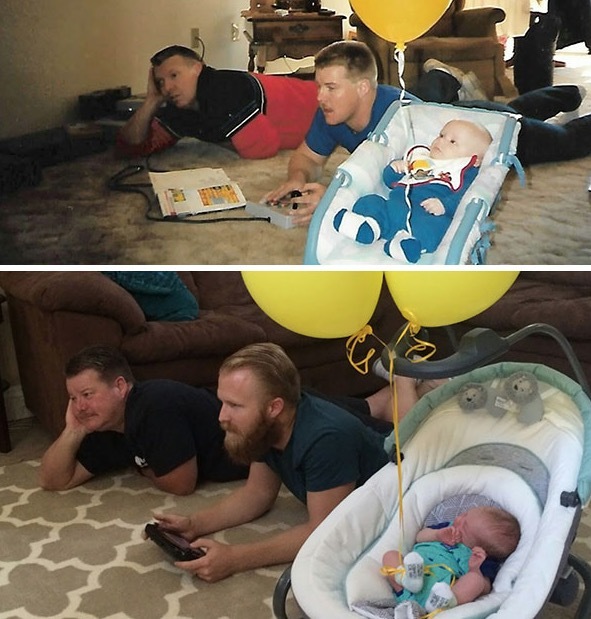 Second Generation, 2016: me, my son and dad playing Wii!" 11. 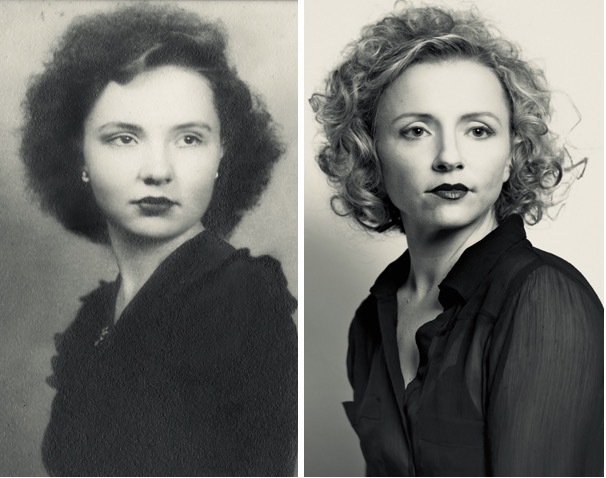 Grandmother Mildred in 1928 and her granddaughter Christine today, who especially made a dress to match her grandma's. 12. 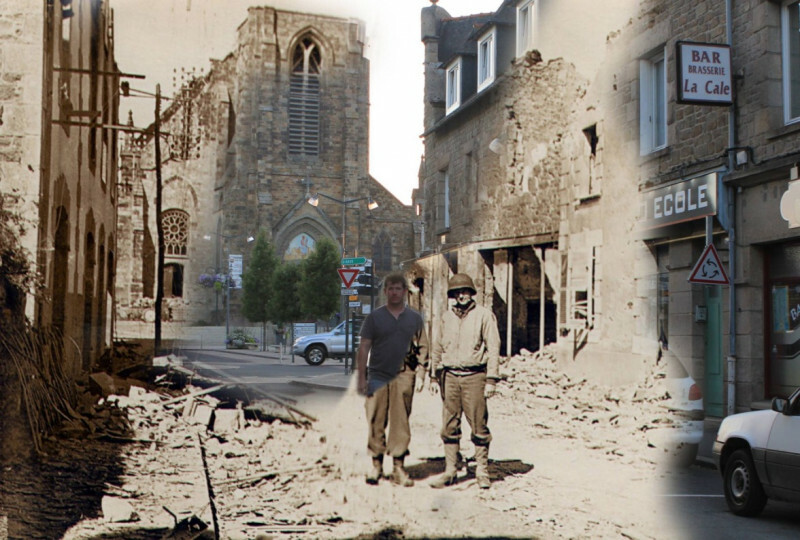 "Standing next to my granddad in the streets of Pleurtuit, France, 1944 and 2013." 13. There are some striking resemblances between this man and his great-grandfather. 14. 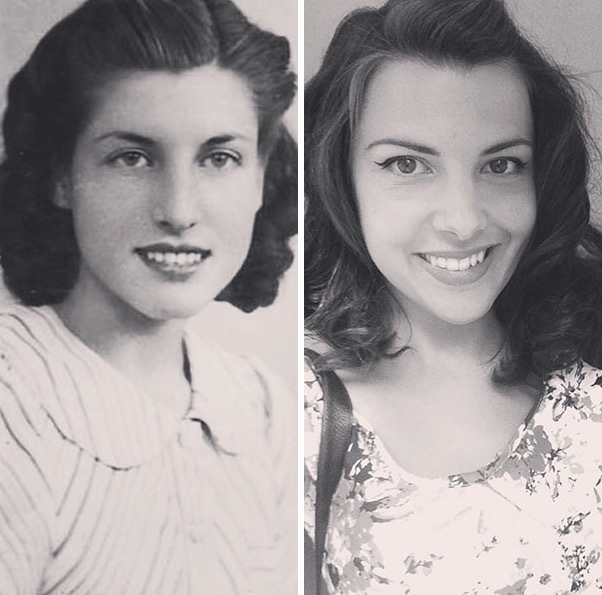 Great-grandmother and great-granddaughter, both 20 years old. 15. 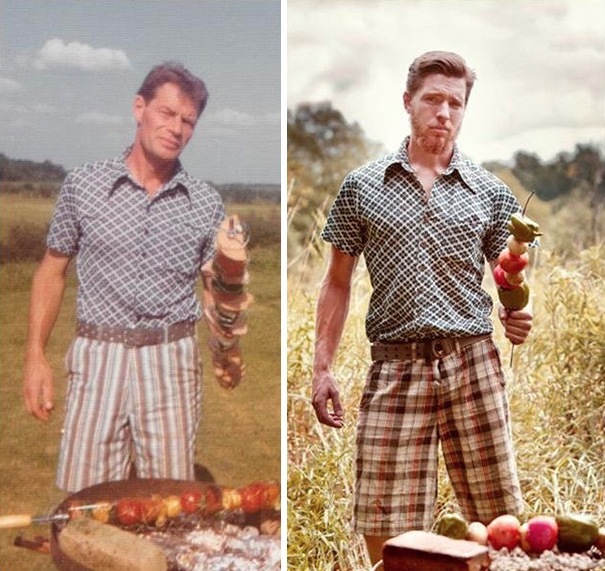 This grandfather and his grandson are similar in so many ways, even in their interests. 16. 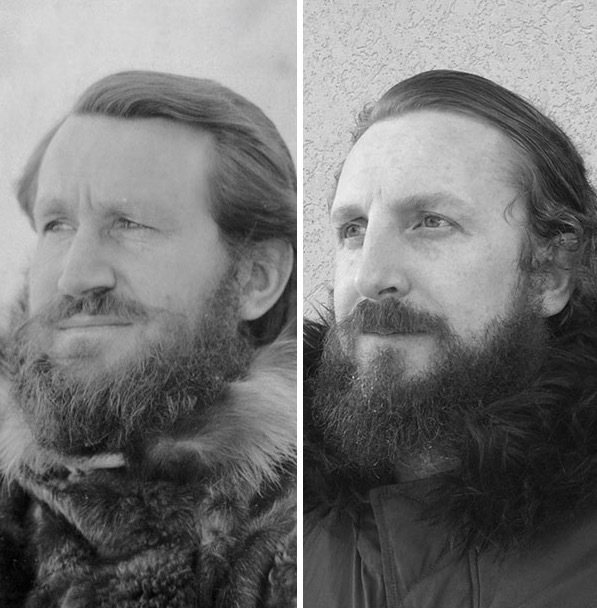 The expression on this grandfather's face in 1940 during an expedition in Antarctica is strikingly similar to that of his grandson's many years later. 17. 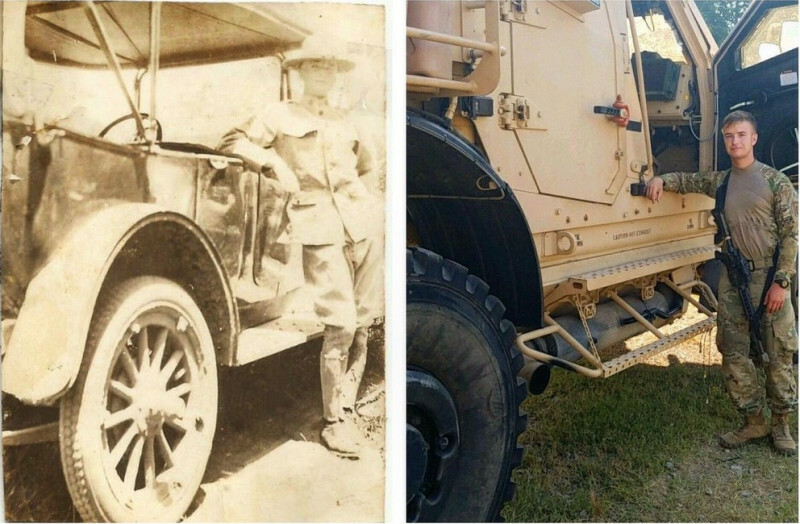 Both great-grandson and his forefather proudly served their countries, only 100 years apart. 18. 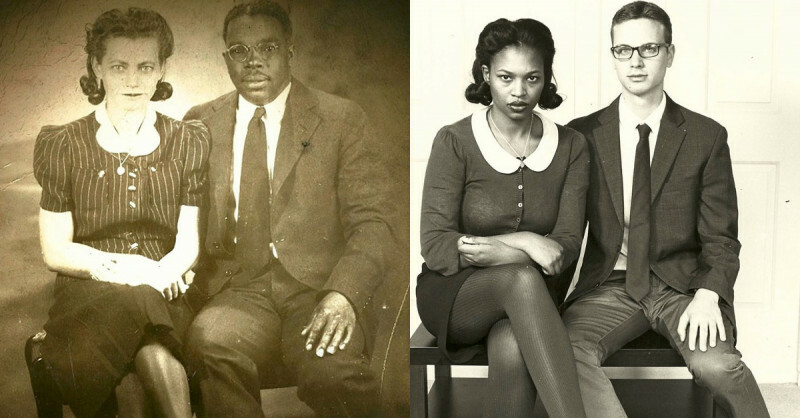 There are 80 years that lie between these two images. What a beautiful comparison! 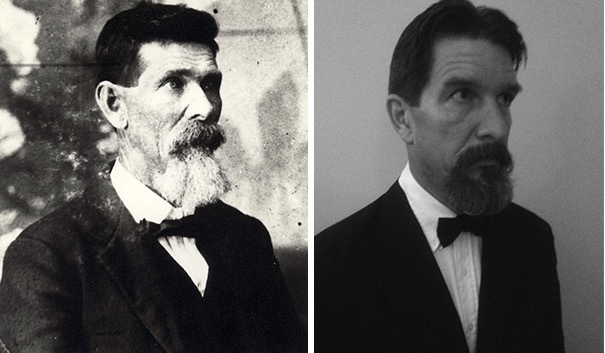 While fashion may have changed over the decades, facial likenesses and expressions certainly have not. It's like a small and fascinating journey through time!